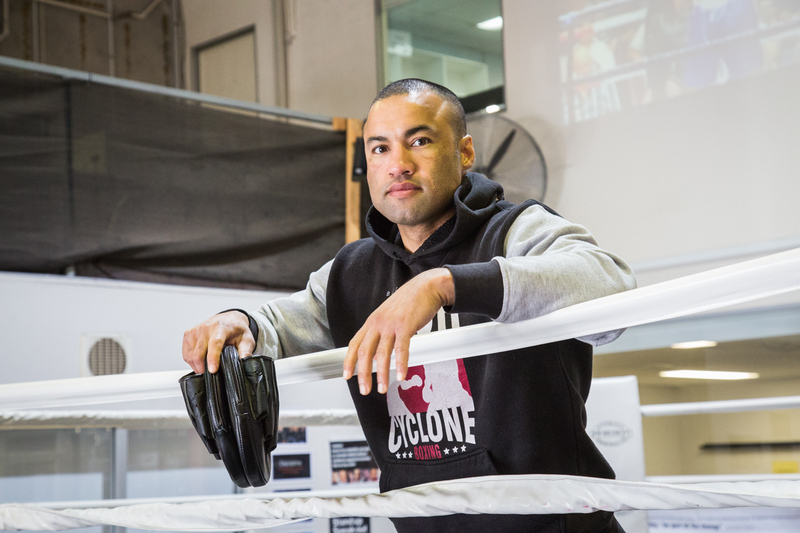 Tyrone “The Cyclone” Tongia is describing his life as a professional fighter in the not-too-distant past, a time when he gave everything to the sport and it gave him three Australian light-middleweight titles in return. Injury saw him give up the sport in 2012, despite being at the peak of his ability. “You can choose to be defeated by it or you can choose to grow,” says the 34-year-old father of two. A mantra that fits neatly with the corporate ideology of Pensar. So much so that Pensar’s managing director Karl Yunker hired Cyclone as a personal coach … for the entire workforce. He modified Pensar’s head office to accommodate a gym and boxing ring, where Cyclone now holds sessions for our Pensar people twice a day, six days a week — at no cost to them. “Karl’s always been quite innovative and progressive, in terms of how he wants the company to operate,” says Cyclone. Cyclone’s message of strength from adversity resonates with Pensar’s HR Manager Shane Kelly. Shane has spent the past 15 years working in heavy industry — eight of them as a fly in, fly out subcontractor to Rio Tinto in Western Australia — and says that employees most want to work for companies that prioritise the physical and mental wellbeing of their workforce. “I think, it wouldn’t have worked as well if it wasn’t for having Cyclone in that role, he’s a natural choice. 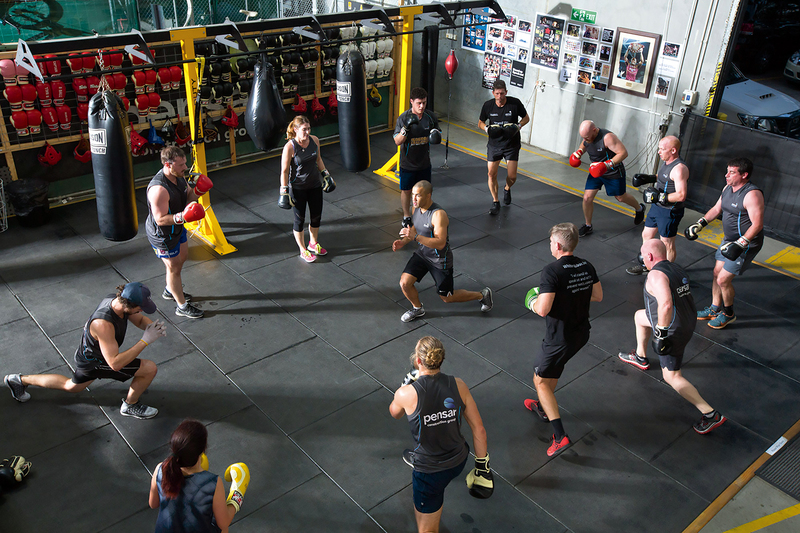 He’s not only an expert in boxing, but also fitness and coaching, and I’d say team building as well. Reese Deaves, Director of Pensar’s Civil Infrastructure division, is a regular at Cyclone’s training sessions, preferring the afternoons and Saturdays so that he can fit it in around work and dad duties. 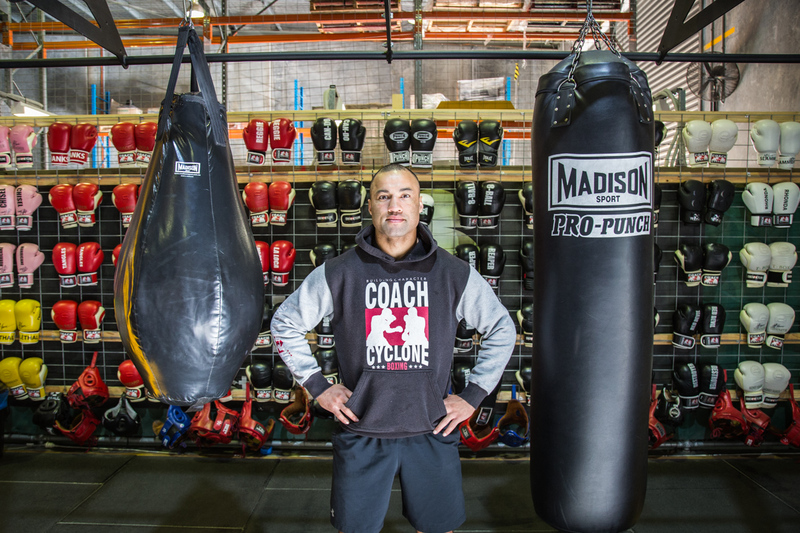 Cyclone says the challenge of overcoming personal fears and improving working relationships are among the benefits of his style of coaching. “In boxing there’s an element of contact, and a lot of people don’t know what it’s like to be hurt and have physical contact. So, there’s that element of fear, but once you get past all that and you’ve gone through the journey, it’s more about personal development than anything — character building, pushing yourself,” he says. For more on how Coach Cyclone is impacting the culture at Pensar and the fitness of our people read the latest news article by ABC News.